Clichy has my blessings|Arsenal get bullied again|Cesc and Nasri to stay? Granted, I may have popped some dopamine-enhancing pills this morning but I am in my most positive of moods. There have been a lot of paper talk over the past few days, with many of them being nothing but mere lazy journalism. We are actually tired of these stories and that may be responsible for the lack of posts these past few days. Not withstanding, our apologies! So, first things first, news just in suggests that Gael Clichy just arrived at a private hospital in Manchester for a medical, with a view to completing his move to the Eastlands. This is bad news for us Arsenal fans, as we have just lost the last member of our invincibles team, a hard worker and an arsenal lover. It may sound absurd praising him on the day he signs for another club; however, we cannot deny that Gael has been a loyal servant to the Arsenal cause. He gave his 100% whenever he wore the Red and White of the club and deserves every form of gratitude for his service. Clichy came in for Ashley Cole and settled in perfectly, giving us great performance after great performance but last season, his form waned. The first person to notice this was Clichy himself. His performance dropped and he started making silly errors. He may have realised that his time at the top may not be as long as he expected. Having said that, I really do not see anything wrong in him seeking a big payday before he loses his form completely. I’m talking from a professional footballer’s perspective here, not as an Arsenal fan. Everyone has their limits, he has been with us for over 8 years and he’s probably fed up. 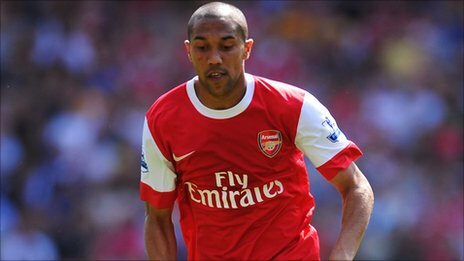 So I’ll put him in the category of ex-players who should get a warm reception when they return to the Emirates: Henry, Pires, Kolo Toure, Ljunberg… And now that Clichy is leaving, replacing him won’t be too difficult. We can bring in another left back, promote Gibbs, or shift Vermaelen to left back. The last option is a discussion for another day though. To other news, Cesc should return to London today to begin preseason, and while his heart is still set on a move to Barcelona, returning to London may just be to our advantage. I believe that Wenger can meet Cesc one on one and convince him to stay at the club; tell him that Barcelona do not want him that much if they value Sanchez and Neymar more than him, tell him Arsenal will always love him more. It’s not going to be easy but if anyone can, Arsene can. Barcelona have no money, and I do not see how Cesc will leave if they cannot provide the funds. Nasri will also meet with Wenger today to sort out his contract. For all his comments in the papers, it is imperative for me to let you know that everything Samir said, we already know. He wants to win trophies, who doesn’t? But he also added that he wants to do so playing a certain kind of football that we all know only one team in England is capable of. He won’t play rugby, and he wants to win trophies, my feeling is he wants to push Wenger to sign top players this summer so we can compete better next season. Isn’t that what we all want? For all our noise about Ricky Alvarez arriving, Inter Milan may just have beaten us to the signing of the Argentine ace. according to Maurizio Zamparini. The Palermo president was the man who revealed last week that Arsenal were set to win the race for the Velez Sarsfield midfielder. Palermo had also been bidding for Alvarez, which gave Zamparini his insight and now he claims that he knows Inter’s late bid for the player looks set to be successful. It is annoying how we get bullied by other clubs; first it was Jones, now it’s Alvarez. However, we are not sure how much Wenger wanted him at Arsenal since there was no statement from anyone related to the club, and I have not really seen the lad play, so I cannot judge how much of a loss this is. That’s it gooners, it’s past July 1st and still no action. Nothing on Samba and Cahill, Gervinho has still not been announced. I think Wenger knows what he’s doing, but for how long can he wait on other clubs? This summer was supposed to be about strengthening, but instead it’s another year of replacing. It’s just amazing how we have these problems with money when 95% of the club is owned by two of the world’s richest men! Wherever you are reading this from, keep believing. There’s still over a month of the transfer window left. 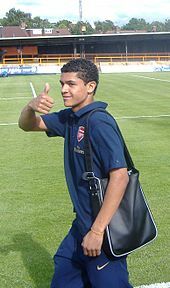 Remember follow us on twitter @goonermemoirs for Arsenal news as they break. One favour guys, we’ll be most grateful if you can take some time out of your busy schedule to vote for us as Best Sports Blog and Best Collaborative Blog in Nigeria by following this link. Diaby Stars As Arsenal Win : The Blackpool Player Ratings. Surprise start by Lehmann who replaced the ill/injured(depending on who you believe) Almunia. Diaby, Eboue, Fabregas came in for Song, Theo & sagna. 2 goals in each half saw Arsenal run away with the 3 points. Below are the ratings. Second First debut for the overly eccentric german. Handled himself well, came out and dealt with crosses, even composed enough to round an on rushing blackpool striker and a good save after Clichy faltered. Stunning finish from the much maligned overly loved fullback. Ran the wings well and put in one or two tackles and also caught out of position. Good day. High rating because of that last ditch tackle that preceded the 3rd goal. With the game at 2-1 and Blackpool one shot away from levelling, he came through BIG. Probably his first ever tackle since joining Arsenal. Was comfortable against the threat of just one Blackpool forward. He was ok throughout and covered well for Clichy. Would have gotten a 7, but the stupid lapse in concentration in the dying minutes of the game could have cost us. He seems to do it every season, remember City & B’ham a few years back. Solid going forward and defending, found himself on the wrong end of the oppositions tackling but his character shone through. Picked up a booking trying to prevent a counter. I think the last time diaby got a rating this high must have been in a Fifa 11 video game. Started the game on fire, profiting from good build up play between Cesc, RVP, Arshavin. He was immense in the midfield and stupidly picked up a booking but showed considerable strength & grit in the second 45. Pass after pass, lob after lob, he lost me with his precision and decision making and the number of chances he created in the opening half alone. Set Theo on his way for the assist to RVP’s goal and Arsenal’s 3rd. Good outing. Not his best game for Arsenal, but for the goalkeeper he would have gotten his name on the score sheet. Was more out of the game than in the game. Posed little threat but he defended well. Came on with the game finely poised and he turned it on its head with his pace and laid on the winning goal for RVP after great play by Eboue, Cesc & Diaby. Good to see us pick up a vital and necessary win. The gap is back to seven points with a game in hand. From wherever you’re reading have a great day. Another must win game. I wonder how many times this has been said or mentioned on blogs and in the media in general. And yet, we’re still in the thick of it with United, BUT make no mistake, we lose this game or drop points coupled with a United victory and its ‘over’. Why? Add a chelski win to any points we may drop and you have us fighting to stay in the top 2 instead of the title. Mathematically, anyone in the top four can still win the race, but to limit the chances of the 3rd & 4th placed teams, Arsenal & United need to keep winning, most especially Arsenal. Hopefully with some good luck on our side and bad luck on United’s, we can ‘smile to the bank’ come end of May. Fresh off the dreaded international break, the only casualty seems to be RVP and according to reports, its not that serious. A lot of players were involved during the break with some being used like donkeys e.g Nasri, Wilshere, Bendtner while some got off lightly by playing one game instead of two. Aided by the return of influential captain Fabregas, wing wizard Walcott, Anchorman Song, we’ll be looking for nothing less than the 3 points required and what better way to do that than against Blackburn at the Emirates; but we all know its against teams like this ESPECIALLY at home we always mess it up. To team news, as said earlier, Fabregas along with Walcott, Song have all returned from various knocks and the likes of Ramsey, Bendtner should be fit to tackle the opposition. Lehmann was a clown in his second audition so Almunia would probably retain his place and the back four too should be unchanged. Due to Wilshere’s involvement in two games in four days, I reckon a rest maybe on the cards for the youngster. As revealed by Arsenal.com, this would be our 50th game this season and even though now is no time to rest players, Wilshere is due rest. So fancy the team to look something like this. So there we have it. Players are back, most of them fresh and relaxed and roaring to go. I feel Theo is going to be key in our title run in so it would be great if he doesn’t get injured again. 3 points and we’re still in it, dropping points coupled with Chelski picking up points, puts us in between a rock and a hard place. I don’t mind us conceding silly goals, (let’s accept it that with the CB pairing we will) so long we score in abundance in the same game. From wherever you’re reading, do have a swell day. Faf would be here with the ratings come Saturday evening.